I took a preggo test this morning, the Baby One from Dollar General. I dropped three drops in the well, but it didn't go right away. In fact it was taking a forEVER so I turned it 25° and put three more drops in the well and it shot up immediately. My positive line was there before the control line. But it looks like they both bled a little bit. The test was a couple months old but has been in the packaging since I got it, never opened. 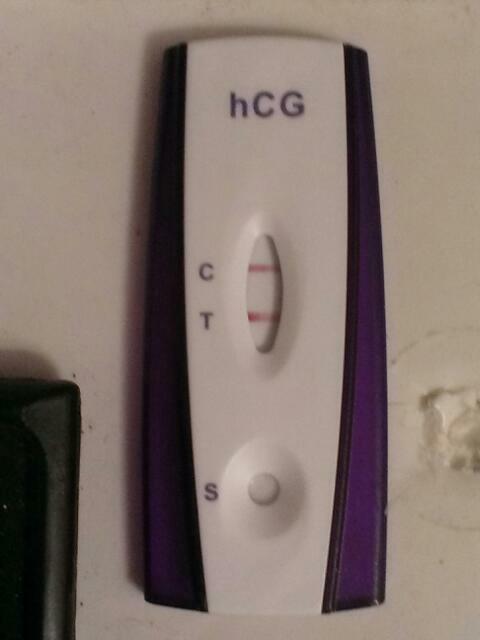 Should I trust this as my BFP and not worry about another home test or should I get another test and double check? I'm SO excited!